Indiana Mothers For Custodial Justice: Tennessee Murder Suspect Tried to Take Custody of Children From Ex-Wife...Called Her "UNFIT"
Tennessee Murder Suspect Tried to Take Custody of Children From Ex-Wife...Called Her "UNFIT"
The man accused of killing six people, including his wife and her 16-year-old son, once tried to take custody of his two children away from his ex-wife by claiming she was an unfit mother. According to court records from August 2008, 30-year-old Jacob Shaffer claimed his ex-wife, Elizabeth Shaffer, was "neglectful in the welfare and well-being" of the couple's two children, 9-year-old Arianna and 7-year-old Justin. The case was promptly dismissed in December when Shaffer failed to pay the $382 in court costs, records show. 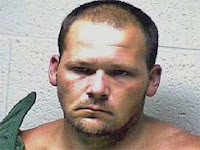 Shaffer has been charged with murder in Lincoln County, Tenn., in connection with the brutal slayings of his current wife, 38-year-old Tracie Shaffer, and the woman's father, brother and son, along with the son's friend and a Huntsville man. Tennessee Bureau of Investigation officials said Shaffer spared his own 4-year-old daughter, who was in the home with his wife at the time of the killings. According to court records and family, Shaffer has at least three children - the two from his marriage to Elizabeth Shaffer, and the 4-year-old girl from his marriage to Tracie Shaffer. Jacob Shaffer claimed less than a year ago that his oldest daughter thrived in his household, earning better grades and showing more involvement in Sunday school than when she lived with her mother. Shaffer said his ex-wife had been living with her boyfriend and left the children in his sole custody for months, neglecting to pick them up at scheduled times, according to court records. The claims went unanswered, and the case was closed in December after a Madison County judge denied Shaffer's request for a waiver of fees based on financial hardship. The 2008 civil case was the second chapter of a custody battle between Shaffer and his ex, who sued him three years earlier for $7,375 in back child support for their two children. Shaffer teetered on the brink of a 110-day jail sentence for failing to pay 80 child support payments since the couple's divorce in 2003. Shaffer put down a "large good-faith payment" after the civil court claim was filed, causing the judge to withdraw the order that could have sent him to jail.